It’s the matter-of-fact phrase used by moms worldwide, after you’ve been caught rummaging through the candy dish before dinner: sugar will rot your teeth out. But is this just a suburban myth or does mom know best – will eating sugar cause cavities? The human mouth relies on many natural defenses to keep itself clean and healthy. One of these defenses is remineralization, the process by which minerals in saliva – such as calcium, phosphate, and fluoride – strengthen tooth enamel. Enamel is the protective outer shield over teeth, and it needs to feed on minerals to keep it hard and block decay from penetrating its surface. On the other hand, the human mouth is also a breeding ground for bacteria – some beneficial and some harmful. Two of the most harmful types are Streptococcus mutansand Streptococcus sorbinus. When sugar is released into the mouth, these bacterium feed on it and produce acid that eats away at tooth enamel – a process called demineralization, because the acid strips enamel of its healthy minerals. Over time, the acid produced by sugar can cause tooth decay and cavities as it chews through tooth enamel and beyond – into the dentin and pulp layers of the teeth, where the nerves and blood vessels are contained. 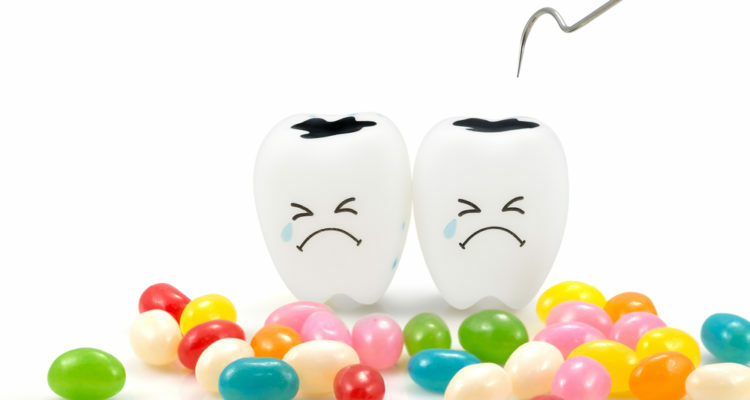 A cavity is a hole in the tooth causes by decay, and can produce symptoms of pain, pain when chewing, and sensitivity to hot, cold, and/or sweet foods. When it comes to eating sugar, the frequency of ingestion is more important than the amount. Acid is produced every time you eat sugar and it festers in the mouth for up to 30 minutes after consumption of sugary substances. Every sip of soda or bite of cake re-starts the acid cycle, and these frequent acid attacks increase the amount of time teeth are exposed to demineralization, while also decreasing the amount of time saliva flow has to re-mineralize tooth enamel. Repeated blows to the outer shield weaken tooth enamel more quickly. The good news is that the risk of cavity development can be reduced by practicing vigilant oral hygiene and making better dietary choices. You can reduce the number of germs in your mouth by regular tooth brushing and flossing. If there are fewer germs, less acid will be produced every time you eat. Brush a minimum of two times a day, and after meals whenever possible. Brush and floss your teeth every night before bed. If you are unable to brush your teeth after a meal, rinse your mouth with water to clean out sugar and dilate the potency of sugar left sticking to your teeth. When possible, drink fluoridated water. Softer teeth are more susceptible to tooth decay, but fluoride – found in the water supply, and many toothpastes and mouthwashes – helps strengthen and harden enamel. Practicing good dietary choices is just as important as practicing good oral hygiene. High-sugar snacks and high-sugar and acidic drinks cause enamel-destroying acids to be released into the mouth environment. And constant sipping and nibbling on sodas, long-lasting gums, mints, and hard candies, fuels repeated acid attacks that wear away enamel over time. Eat meals rich in plants and whole grains. 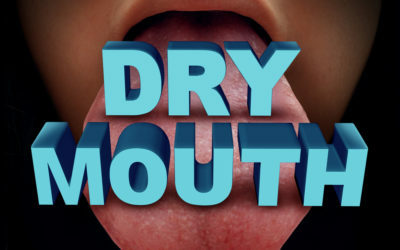 Instead of snacking on hard, sticky, and crunchy foods that get trapped in the grooves of teeth, munch on raw fruits, veggies, or yogurt, which increase saliva flow and wash away from the mouth easily. 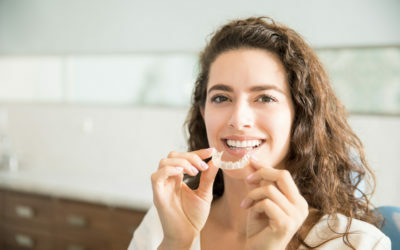 Chew on sugar-free gum (with the ADA seal of approval) as another way to increase saliva flow in the mouth and jumpstart the re-mineralizing process. You can still enjoy your favorite sweets in moderation – eat and drink sugary substances with meals instead of between them, to reduce the amount of time harmful bacteria is producing acid in your mouth. The ADA lists the following nine foods and drinks as the most damaging to the health of your mouth and teeth: hard candies; ice; citrus; coffee; dried fruits; potato chips; soda; alcohol; and sports drinks. One of the most important ways you can stop cavities in their tracks is by scheduling regular dental exams with your dentist. 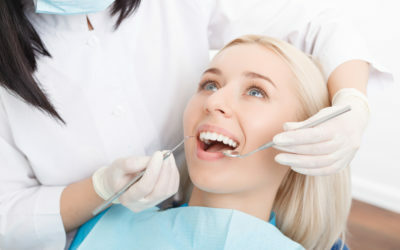 Regular examinations detect tooth decay while it is still small and confined to the surface of tooth enamel, and your dentist will be able to treat the cavity before decay progresses. If it’s time for your regular check-up, call Boyett Family Dentistry at 863-294-9200 to schedule an appointment with Dr. Boyett and her team of dedicated and caring dental hygienists.